"It's a labor of love and I love tacos," says Danny Trejo of his new L.A. taco spot. Actor Danny Trejo (commonly known as Machete or the scariest inmate from Con Air) has finally opened the doors to his Los Angeles taqueria, Trejo’s Tacos. 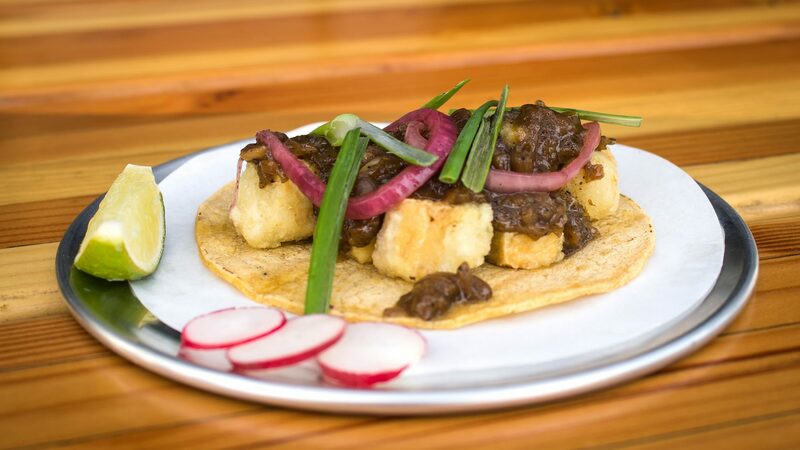 Though the restaurant first gained notoriety for its seemingly incongruous focus on vegan-friendly options, like black pepper tofu tacos and quesadillas made with mung bean tortillas, the menu also includes dishes for meat-eaters like fried chicken tacos, shrimp tostadas and carne asada. It’s ultra-Los Angeles-centric with locally brewed beer (including the proprietor's own, Trejo’s Cerveca), locally-sourced ingredients and a program that donates kitchen leftovers to a local homeless shelter. The building itself is steeped in Mexican food history: Its former tenant was a Taco Bell; Trejo and his partners took out the drive-thru and replaced it with a patio. One of the busiest men in Hollywood (just take a peek at his IMDB page), Trejo recently took time out of his day to chat with us about the story behind Trejo’s Tacos, his signature dish to make at home and his go-to L.A. restaurants. 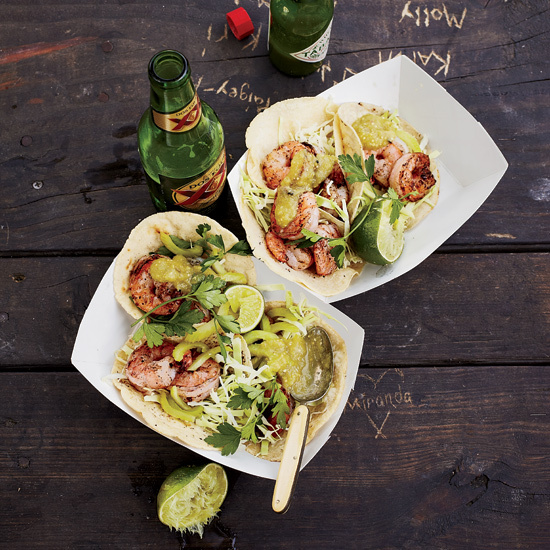 Why did you choose to open a taco spot? Having a restaurant was always my mom’s dream. She was a great cook. But my mom came from the era where the man worked and the woman stayed at home. She used to make the best tacos in town and her salsa was amazing. She could make it mild, medium, hot and go-to-hell. She passed away a few years ago, so this is in her honor. What level of hot sauce do you go for? I gotta go with the hot. The go-to-hell—that was my dad. He and my uncles would eat that. In the dictionary under “macho” is a picture of my dad. When people heard that your restaurant would be vegan-friendly, they were pretty surprised. Why did you decide to go that way with the menu? We wanted to take care of everybody. As an actor a lot of times after a meeting there will be six or seven of us going out to get some dinner and inevitably someone will be gluten-free or vegan. So we made the restaurant vegan friendly, and we have gluten-free food. We’re trying to accommodate everyone. You gotta love cooking and you have to use the best ingredients. In my house, my mom’s recipe was just beef, cheese, lettuce and tomatoes—but it was done with a lot of love. Our tacos at Trejo’s Tacos are all organic—everything is fresh. Nothing stays in the restaurant overnight. At the end of the day, we donate everything. It’s a labor of love and I love tacos. What is your go-to order at Trejo’s? 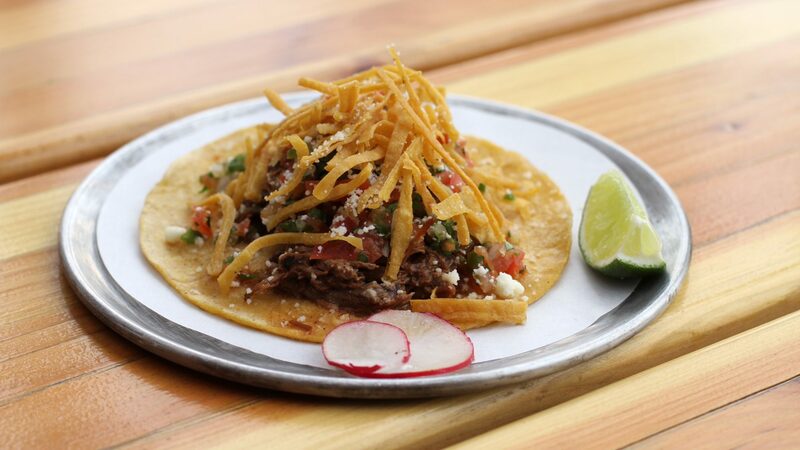 We have a brisket taco—it’s pulled, shredded brisket—it’s unbelievable. So far everyone that’s tasted it votes for it as the best. Sometimes I cook at home. My kids are all grown, but when they were young I used to cook a lot. My signature dish was a Mexican dish with cut-up tortillas, eggs, salsa, a little cheese mixed together and then, of course, I would always have to put a secret ninja sauce in there that nobody knew about. It’s like chilaquiles taken one step further. Do you have favorite spots in L.A.? My top three restaurants are the Original Pantry Café in Downtown Los Angeles, Musso & Franks—one of the oldest restaurants in Los Angeles in Hollywood—and Tres Hermanos in the San Fernando Valley. That’s seriously good Mexican food. 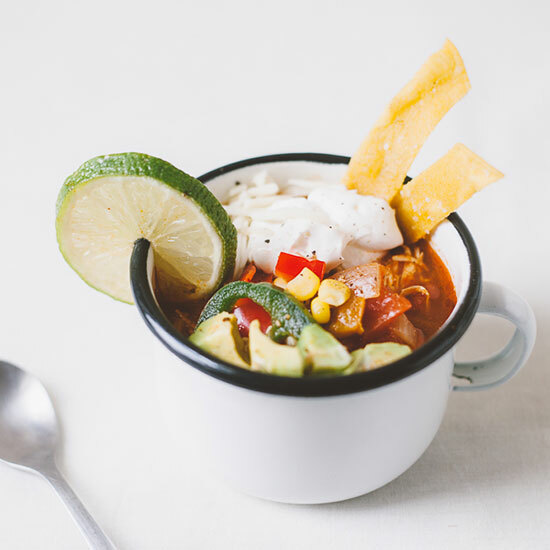 They have a caldo de res—it’s a soup but it’s almost a stew and it’s absolutely delicious.